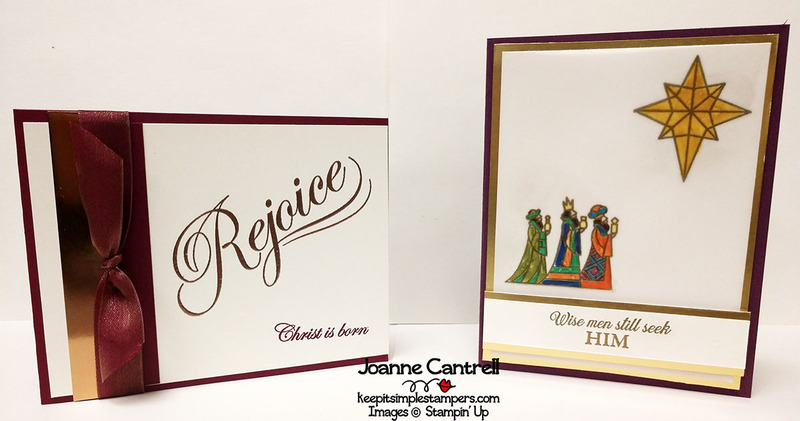 Ink & Inspiration Blog Hop – Christmas Time AGAIN! Our theme this month Christmas! I just love Christmas. But, I cannot get into Christmas until after Thanksgiving. Which, for those of you who are from elsewhere… Thanksgiving is the best holiday ever! We gather with family and friends and eat more yummy food than our pants can handle while we thank God for all the blessings He has given us. But, since today is Thanksgiving, I guess I can get into Christmas now! 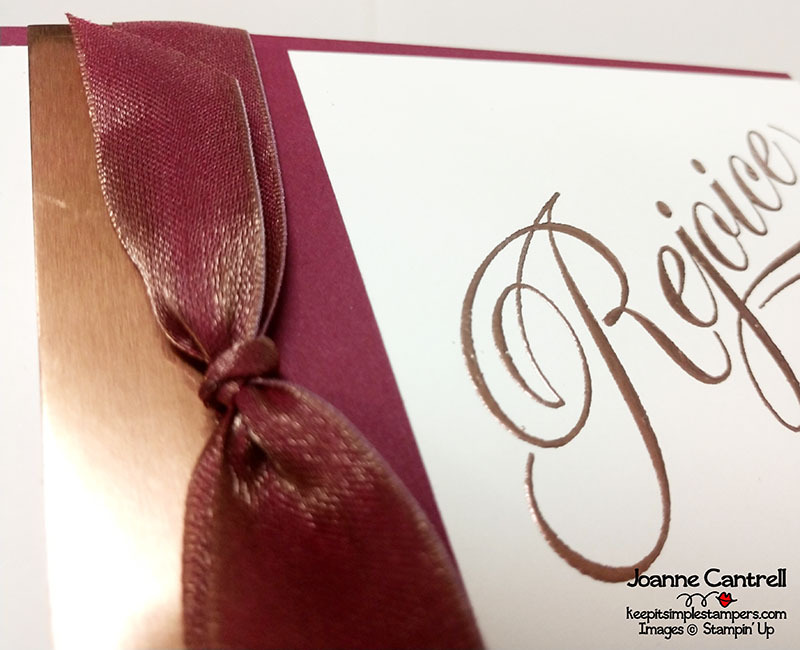 Simple, easy and elegant… Those are my type of cards! Well, I guess they should be, I created these!  Let’s take a look at them up close! Merry Merlot, Very Vanilla and copper bring this card together nicely. Don’t you agree? Simple sentiments from the His Light set makes a bold statement! This may be one of my favorite cards I have ever done! I just love the shimmer if the metallic! Here I used the same basic color scheme but swapped the copper out for gold. After all, this set is called Illuminated Christmas, and Illuminated books have gold leafing on them, so I thought it was appropriate! This stainglass look is so easy to achieve. Really, it is. 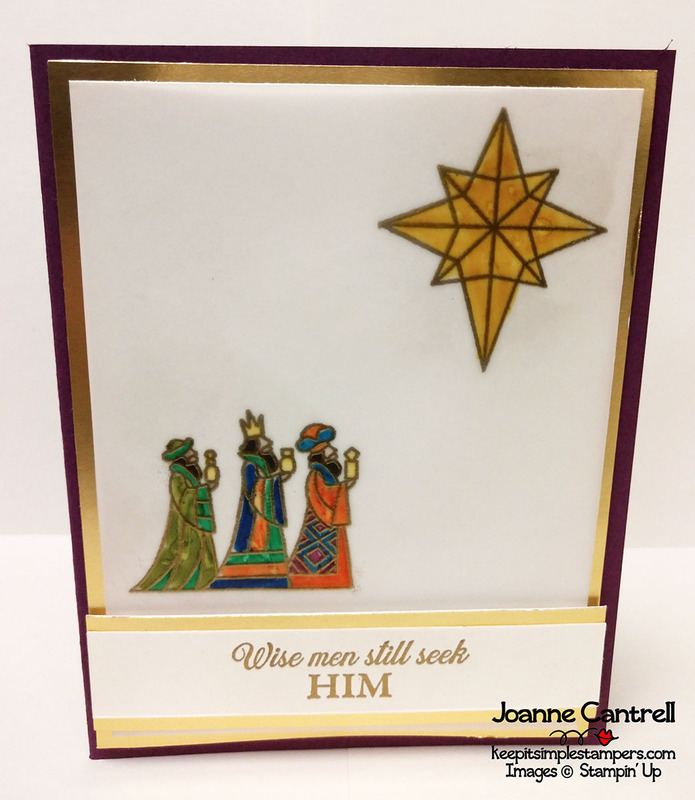 I stamped the images on vellum using VersaMark ink and heat embossed with Gold powder. Then, I flipped it over and used Stampin’ Write Markers to color. When I flipped it back over, I had stained glass! 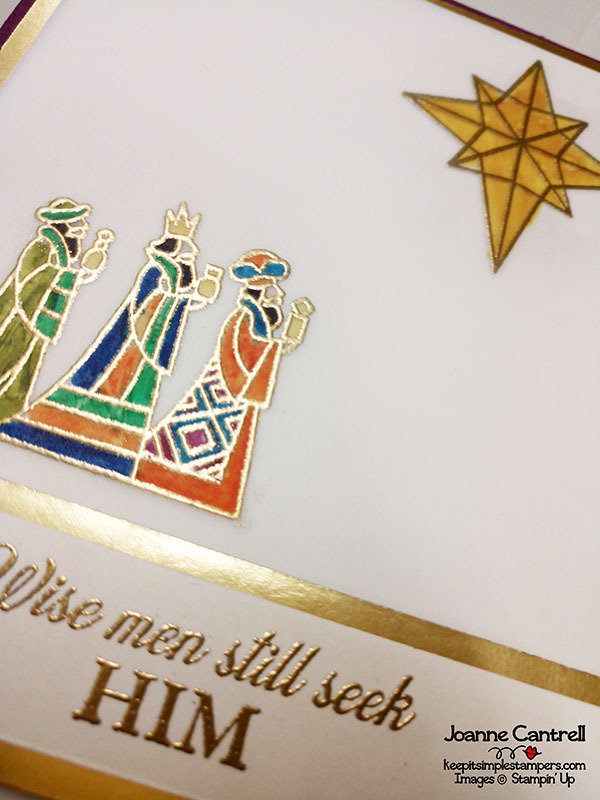 Just a note… You may notice that there is a little streaking in the green wiseman’s robe. I tried to hide the glue there. Don’t do that. Not sure what I was thinking because it’s really the only place you can see it. A little tiny drop of the Fine Tip Glue in each corner of the vellum works just fine and you can’t see it at all! Well, I hope you the projects you’ve seen here on my blog today have inspired you & brightened your day. You are currently visiting Joanne Cantrell from the USA. Please see the list below & hop through all of the people on the list to see all our projects. You don’t want to miss any! 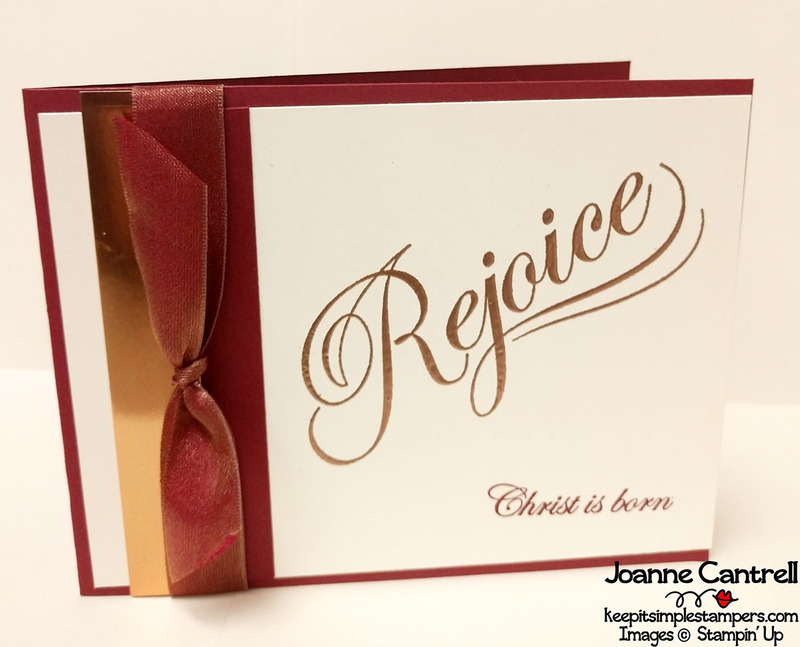 Beautiful cards, Joanne! I love that Merry Merlot/Copper ribbon.